To assist those individuals and families affected by problem gambling establishing a healthy life. To commit to a role of advocacy in unveiling the masks of problem gambling to the general public. 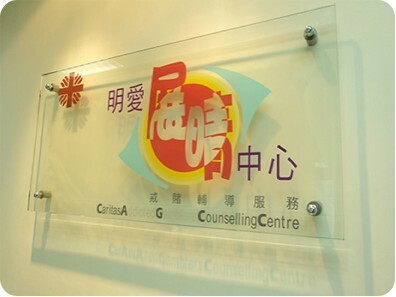 Caritas A G Counselling Centre, funded by the Ping Wo Fund of the Home Affairs Bureau, was established on 15 October 2003. The Centre comprises registered social workers, certified gambling counsellors, welfare worker as well as clerk II. It aims to counsel the problem / pathological gamblers and their family members.